My children love love love our kitty and even I find him adorable too. I have a photo of me with him this time. Usually it's the kids who have all the kitty photos :) They are always so cute together. 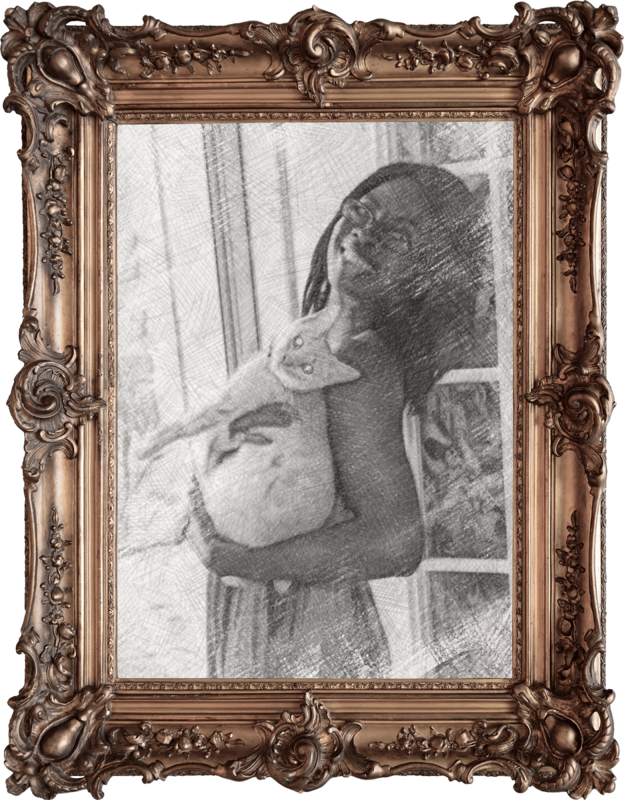 It's time to celebrate Pet Wellness Month, and I learned that I can create a masterpiece with my own kitty portrait. I do believe I need a photo with a higher resolution to get a better outcome. But how about you go and take a photo of you and your cat together (selfies and smartphone photos welcome! ), then head over to Meow Mix's new Purrfect Together web portal http://bit.ly/2debnRw. Once there, you can enjoy the unique experience of converting your photo into a true Meowsterpiece—a digital "oil" painting that helps express and immortalize your cat-love on canvas. Exciting news: Meow Mix has just released a brand new culinary-inspired food made with real chicken or salmon, Bistro Recipes—a classy meal for a classy kitty! Head over Meow Mix's new Purrfect Together web portal http://bit.ly/2debnRw right meow to learn more about this dry cat food with a foodie flair. And that's not all! You need a classy painting to go with that classy meal. On the Purrfect Together portal, you can enjoy the unique experience of converting a photo of you and your cat into a Meowsterpiece—a digital "oil" painting that helps express and immortalize your cat-love on canvas. I did it, and you should too! Wishing a fantastic Pet Wellness Month and Black Cat Awareness Month to you and your feline friend! I dont have a cat. I do remember my cat when I was growing up and it ate Meow Mix. Meow Mix is great for our cats. Mine loves eating it. Aw, how sweet! I have two cats, and they're pretty fabulous. I hate to put my dog to sleep last Friday and my cat about 2 years ago. It is strange not to have a pet in the house. I think I can interpret my cats' meows. LOL! I have two cats and I am pretty good at figuring out what they need/want when they meow a particular way. I've tried Meow Mix for my two couple cats and it's really good for them. I love the portrait. We have one old, tired, one-eyed cat but you know he's come around and it's like he's never had a hard life before we got him. :) He loves to be pet and spoiled a bit. He doesn't play though. I guess he's too old, lol! I have two cats. I wouldnt mind napping with the one except she thinks she can walk all over me. We have just recently adopted a black cat and he's everything! I love how affectionate he is and he really is a true sweetheart. I didn't know that October is all about pets and our cats. It's important for me to give them everything they need. Happy pet wellness month, I had no idea so it is great that you are educating us about it all. I love animals. I had cats growing up, but just a dog now. I wish we could have a cat again, but my daughter is very allergic. We lost both of our cats this year and it was devastating. My daughter is a huge cat lover and has been begging for another one. 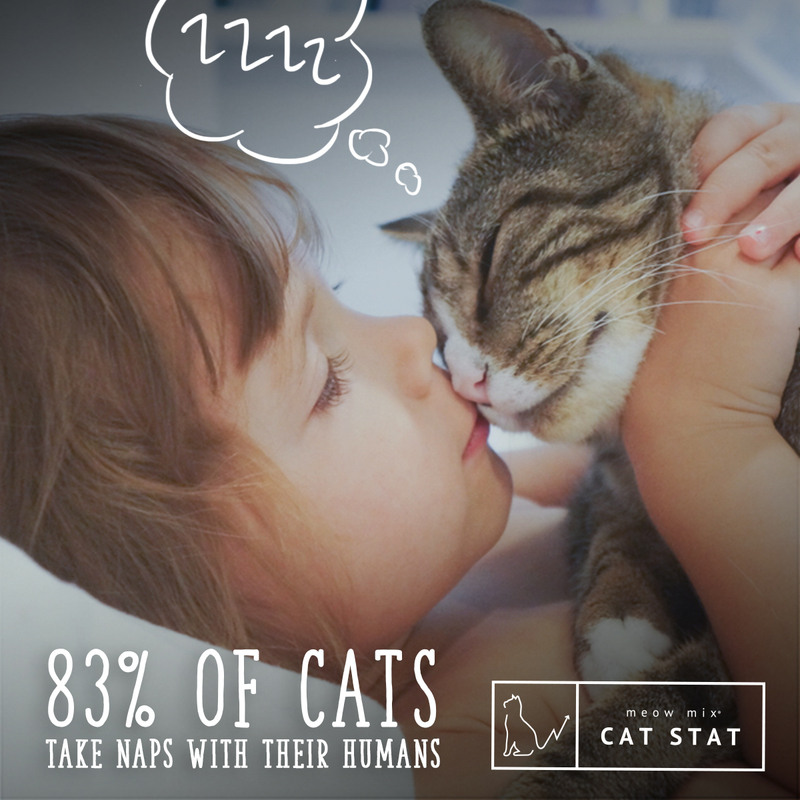 We use Meow Mix and our cats love it! We also use their treats. I really love naps with cats for sure. I always smile when they jump on the bed with me. I'm not much of a cat person. Some friends have cats and they enjoy them as pets. We love our cats and giving them the best is certainly what we want. I love what Meow Mix is doing! I don't have a cat, well actually I am afraid to pets lols. Anyhow, pets should be treated well like a human being.